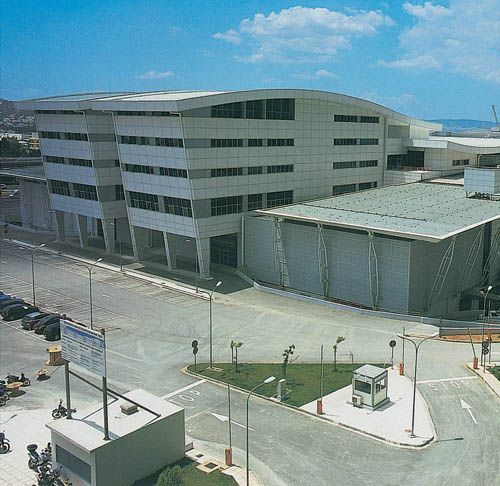 Elxis S.A. uses 4M FINE MEP for engineering large-scale projects like Athen's Olympic Park. ELXIS Company, founded in 1993, works on large and complex projects, offering integrated consulting engineering services, design, supervision, project management, and technical assistance. Specializing in a wide range of mechanical engineering services, ELXIS has carried out many large and complex projects in hydraulics, industrial, transportation, energy, and electromechanical building design. Example projects include the Athens Suburb Railway, Peloponnesian Stadium, State General Archives Building, Athens Press Village, Office Towers, and many others. ELXIS handles large-scale projects requiring the full range of building services including HVAC, sanitary, fire protection, gas networks, electrical installations, and others. They use the FINE MEP building services design suite powered by IntelliCAD for their mechanical, electrical and plumbing (MEP) design needs. "There are many reasons why we decided to use FINE MEP," said Panos Kerchoulas, president of ELXIS, "the most important being the synergistic integration of the CAD environment with an absolutely reliable calculation engine, which we have been using in our company for over 15 years." The capabilities of FINE MEP were demonstrated at the 2008 IntelliCAD Technology Consortium (ITC) World Meeting in Athens, Greece. "It was a pleasure to present to the IntelliCAD community the results of our Olympic design work," commented Haralambos Kovras, Project Manager at Elxis S.A., "and get the comments and feedback from the attendees. Many were impressed to see IntelliCAD handling such large and complex models. FINE MEP is a great example of the many comprehensive vertical applications that are available on the IntelliCAD platform." 4M uses IntelliCAD Co-op as the foundation for its FINE verticals. IntelliCAD Co-op provides a common user interface across tightly integrated applications. "FINE is a building information modeling (BIM) application that has been used extensively in our offices for over 15 years. Since 2002 FINE has been IntelliCAD based, which gives us the powerful and reliable tool we need to provide high-quality case studies with minimum effort and time."